House Beautiful is your one-stop shop for classic decorating looks, with regular and comprehensive colour-scheming pages and a wide range of shopping suggestions for those special details that make a difference. 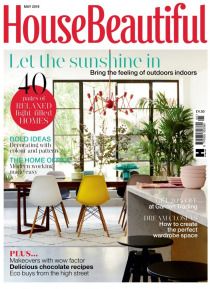 With real reader homes from around the UK - ranging from comfortable country style to the chic city look – House Beautiful provides inspiration and practical advice whatever your decorat… ing tastes. Plus, expert advice on everything from choosing the right mortgage to finding your perfect property.